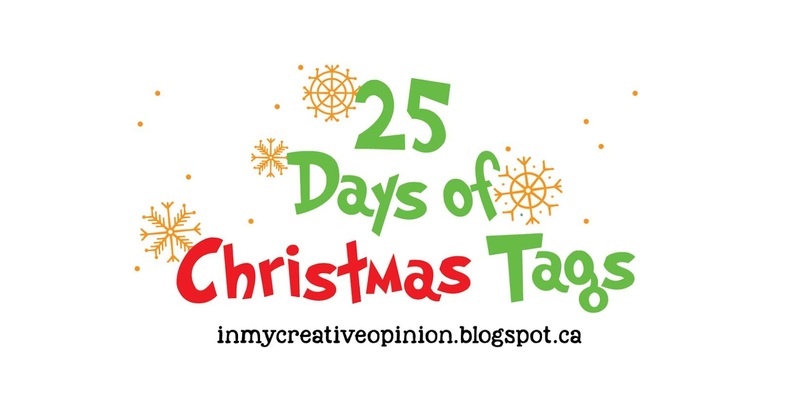 Welcome to Day 6 of The 25 Tags of Christmas Tags 2018. If you are just arriving for the first time, all the details and the linkup can be found HERE. 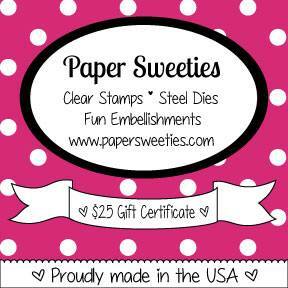 Our sponsor for Day 6 is Paper Sweeties. I used Deck the Halls for this tag. I fell in love this this darling bird house, and just had to set up with some glittery snow on the roof and colorful Christmas lights. Lovely tag - I love the arch shape and the colours you used. I am really loving that little bird! Such a lovely showcase of this set, Joyce! Wishing I would have made this choice now, after seeing how darling your tag is! 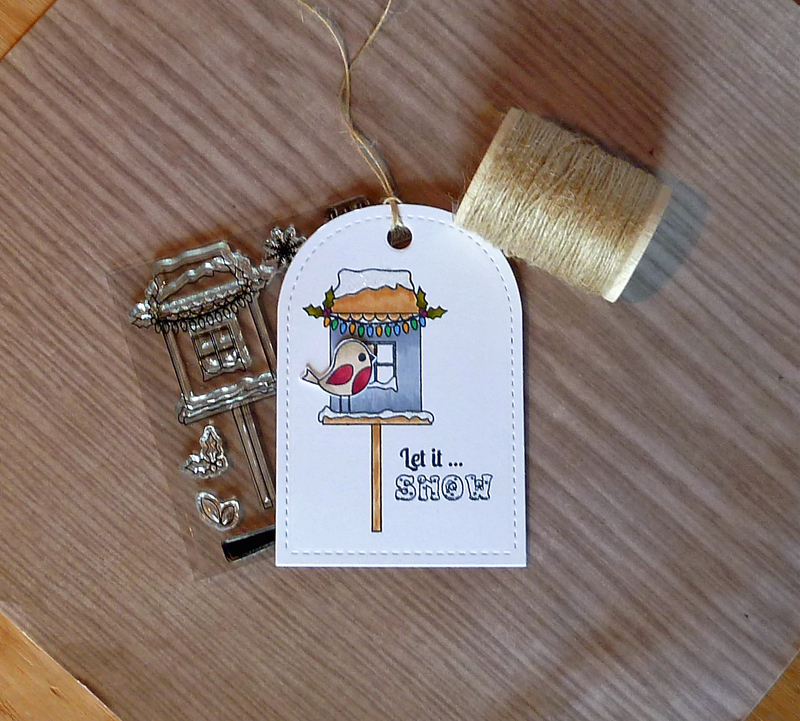 Super cute little birdie tag! Love it! So simple and sweet! I love how you colored the little birdie! 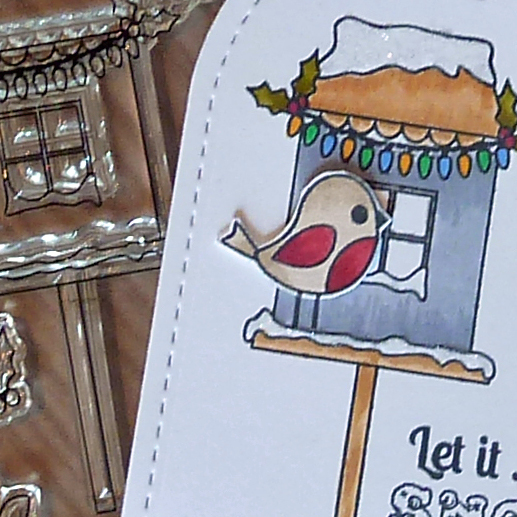 Gotta agree, that birdhouse is just too cute, and you've made quite the festive tag with it. This is my kind of tag... CAS perfection! Adorable...just too darn cute and as tweet as can be! I can see how you would fall in love with these stamps. That little blue birdhouse is so adorable! 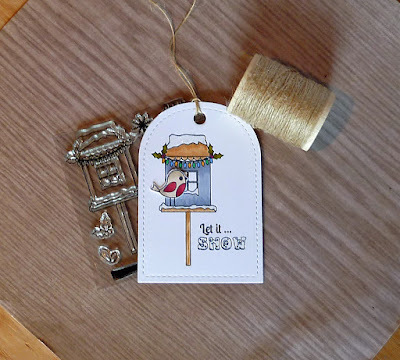 your little bird/birdhouse tag is darling. 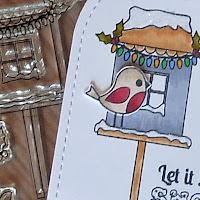 What a festive little birdhouse, this is sweet Joyce! Cute little birdie, and I like how simple the tag is. The colors,the details, so so sweet! Thanks for sharing! Such a sweet and happy tag! Wonderful clean and simple design. Love love love this!! The colors are perfect! I would love this set!! One of the tags that caught my eye when I first saw the Day 6 post! I have an old stamp on this order--might try to do something with it thanks to you, Joyce! Such a sweet tag! 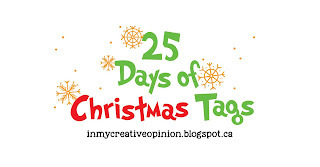 I love the clean and simple design of your tag and the touch of glitter makes it perfect. Really cute stamp set! So cute and I really wish I could send you some snow, wouldn't that be so magical. Such a sweet tag!